Our faculty of qualified and experienced instructors and advisors are what makes our students excel in the field of art therapy. Art, like ritual, is a child of the imagination; it is a way of making meaning and expressing longing. Over the last 25 years, I have been privileged to witness how creative expression can help clients reduce stress, communicate difficult issues, and even transform and transfigure traumatic events imaginatively. Tatjana Jansen graduated from the Vancouver Art Therapy Institute in 1992. Since then, she has worked extensively in a variety of non-profit agencies, with her area of specialization being trauma counselling. She has also worked in the field of grief and loss, and completed a PhD on the topic of grief and the expressive therapies. In her dissertation Taking Leave of Our Senses: Ruminations on Grief and Comprehending the Incomprehensible she focused on the liminality of grief and mourning in embracing the boundaries between life and death; the disenfranchisement of grief in Western culture is such that despite the fact that grief and mourning are universal aspects of our experience of love and love lost, we still silence grief, relegating it largely to a private experience and expression. Tatjana has been involved with VATI since 1997 in different roles including online curriculum development, course instruction, and clinical supervision. To me, art therapy is about creating a space in which people can use art to ignite their imagination, and exercise their creativity in order to see their world in new ways. I approach my work from a strengths based perspective, and I am particularly interested in the role that creativity can play in building resiliency. Laura brings to her work at VATI over 20 years of art therapy experience. Laura graduated from VATI in 1995 and completed her MC:AT in 2006. Her role at VATI includes clinical supervision, instruction, curriculum and program development. 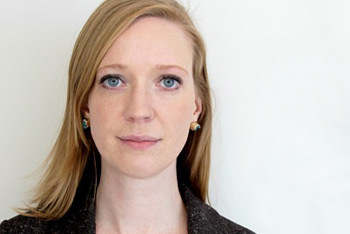 She also has an ongoing private practice and is particularly interested in working with vulnerable client populations. 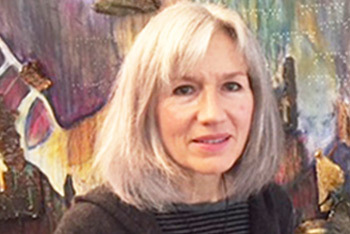 Lori Boyko has worked as an art therapist since 1996. She brings her experiences as an educator, life-long Learner and Creator to her work in her private practice in Rural Manitoba. 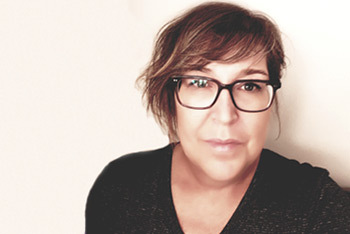 Lori’s training encompasses a wide range; including work as an Educator and Trainer in Canada, Brazil, Mexico and Vietnam and as an Art Therapist and pioneer of School Art therapy programs in rural Manitoba. Her interest in working with issues of trauma has led her to further training in the areas of Sand Play Therapy, EMDR, Inner Relationship Focusing and Mindfulness. Lori has a post-graduate diploma in Art Therapy (VATI) and a Master’s of Counselling with an Art Therapy Specialization. Her interest in body – centered work, the practices of mindfulness, other creative therapeutic modalities, attachment research and Inner Relationship Focusing Oriented Psychotherapy have impacted her current work with clients. 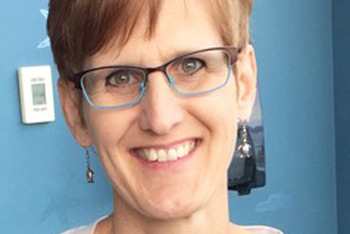 Recently Lori relocated to another rural area of Manitoba where she continues to work passionately to apply Art Therapy within school systems and Art and Expressive Arts Therapy in working within the area of Trauma Therapy. 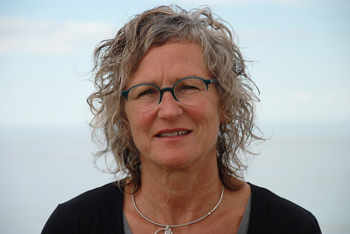 Current areas of growth and interests include the creation of a Professional Development Company in order to meet the professional learning needs of the growing number of art and expressive arts therapists in central Canada; and further training and interest in providing clinical Art Therapy supervision across Canada. Rachela Buonincontri has earned a Master’s degree in counselling from the Campus Alberta Applied Psychology program and has professional training in art therapy through the Vancouver Art Therapy Institute. 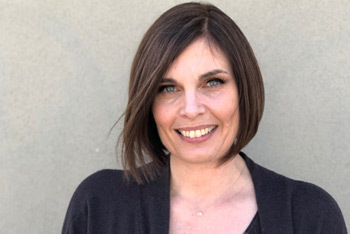 She is a Registered Provisional Psychologist registered with the College of Alberta Psychologists, Certified Canadian Counsellor with the Canadian Counselling and Psychotherapy Association (CCPA), and a professional art therapist and member of the Canadian Art Therapy Association (CATA). She is also the Alberta representative for the Creative Arts Chapter of the CCPA, and a member of the Prairie Chapter of CATA. 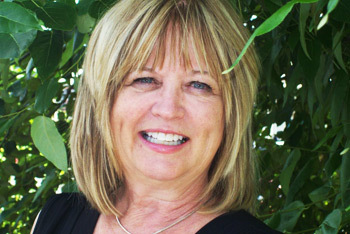 Peggy is a registered clinical counsellor, clinical supervisor, trauma-informed therapist and registered art therapist. A strong desire to create a sense of balance by using clinically sound practices to facilitate social change is woven into all aspects of her work. 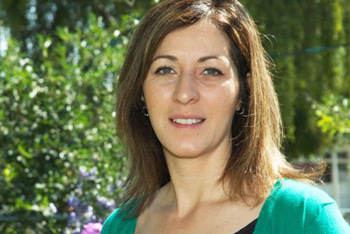 Peggy has 20 years of direct experience spanning all aspects of trauma related care. She has worked in Indigenous health for more than a decade utilizing a variety of trauma-informed, clinical care support and art therapy paradigms to support many remote, rural BC communities including Haida Gwaii and Waglisla where she lived on-reserve. Peggy has accepted many clinical supervision responsibilities, specializing with victims of violence, sexual abuse, and critical incidents, including those suffering PTSD. With a specialization in trauma, program development and team building, Peggy thrives in leadership and community development opportunities. At this stage in her career, Peggy ‘jokes’ her clinical work gets in the way of her painting practice, in actual fact the two are deeply woven. Peggy strives to be balanced in her work and self-care, enjoying kayaking, yoga and art. She is a mixed media artist and painter with a studio in North Vancouver. Having pursued education in both psychology and art, I was ultimately led to art therapy where I found my niche. After graduating from Emily Carr, I found that the meaning of art for me was situated not in the commercial arts world, but rather in the healing arts world. I had discovered more consciously that the making of art heals, inspires, challenges, and has the potential to connect one to their possibilities in the world and the wonder of it. In making art, we see things anew. In my practice since 1992 as an art therapist, I have worked extensively in agencies with women who have suffered severe trauma, sexually reactive children, and First Nations children as well as private practice. My work has included methods for treating trauma such as EMDR. More recently, I have completed a Master’s degree in expressive arts therapy (EXA) from the European Graduate School and am enrolled in the doctoral program where my emphasis of study has been on trauma and numinous experience. I am dedicated to the healing arts and as such am enthusiastic to welcome others into pursuing a similar journey. she later completed her Master of Science degree. A passion and curiosity for the possibilities of art therapy brought Crystal to the Vancouver Art Therapy Institute. Crystal has been teaching the Research Methods course and advising VATI students’ research projects since 2011, and strongly encourages students to publish their research in peer-reviewed journals. Crystal is full-time faculty at Columbia College in Vancouver, where she teaches Research Methods and other psychology courses. I was introduced to the concept of art as therapy while attending the Ontario College of Art and Design in the 1980’s. This introduction ignited my passion to pursue a career in art therapy, thus changing my life course in wondrous ways. I graduated from the Vancouver Art Therapy Institute in 1987, working in private practice and non-profit agencies, largely focused on children, youth, and families. For the last 15 years, I have worked in the field of child sexual abuse at the Sexual Abuse Intervention Program in the Comox Valley. I have also taught the Family Art Therapy workshops at VATI over the years, thoroughly enjoying the opportunity to work with art therapy students. My training and interests also incorporates family systems therapy, play therapy, and CBT. I recently completed a master’s degree in counselling from Athabasca University. Currently, I am in a study group for the Neurosequential Model of Therapeutics (NMT), which considers the effects of trauma and neglect on the child’s developing brain, which in turn impacts relationships, emotional regulation, and learning ability. Art and play therapy are important components of the therapeutic web that these children and youth need in order to heal. I work with the basic principles of connection, compassion and creativity as a practitioner and educator in the field of art therapy. I believe the creative process is a powerful means of bringing us into connection with our bodies, the senses and natural intelligence that supports healing and wellness. I also find art making provides a wonderful opportunity for developing more compassion and genuine care for ourselves as we consciously work with the inner critic and fears concerning self expression. Compassion can be also be deepened in our relationship with others when we risk sharing our hopes, fears, strengths and vulnerabilities through the arts; helping us see and understand each other from new perspectives. I use my own creative practice for self-care and the pure enjoyment of making things. I am currently working with textiles and experimenting with therapeutic weaving and storytelling. 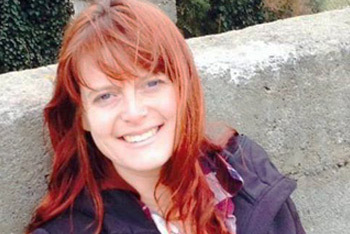 Gretchen completed her BFA at Emily Carr University with a focus on sculpture and community arts in palliative care. She went on to further her studies at VATI while continuing to work with patients and families facing end of life. For 12 years, Gretchen was the art therapist at Callanish Society; a non-profit organization offering residential retreats, support groups and creative arts programs for people living with cancer. While completing her Master’s in Counselling Psychology at Simon Fraser University, she began to focus her studies on clients who had experienced trauma. Gretchen is currently training in a body-centred approach to trauma resolution through Somatic Experiencing®. Gretchen teaches art therapy courses locally at VATI, UBC, Justice Institute of BC and Adler University. 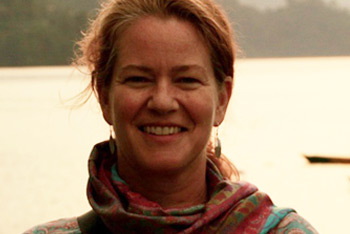 She also teaches in Asia and works closely with Nepal House Society in Pokhara, Nepal. My approach to art therapy is influenced by a lifelong career in the visual arts. As I strive to blend a passion for creativity with a deep interest in healing and personal growth, my understanding of how to be an effective therapist continues to evolve. I have been in private practice as an art therapist in Vancouver since graduating from VATI in 1996. As a general practitioner, I provide therapy to a diverse range of populations, working with a broad spectrum of issues. I especially enjoy engaging with clients’ dreams, and continue to explore the effect that focus has on their healing. I have been working in the counselling field for over 28 years supporting clients of all ages to address a variety of issues including the effects of family violence, sexual trauma, substance abuse, mental health issues, and the interweaving of these issues. I completed my BA in Psychology in 1992 from the University of Calgary, my MC:AT in 2012 from Athabasca University and the Vancouver Art Therapy Institute, and registration as a Psychologist in 2016 from the College of Alberta Psychologists. Grounded in a person-centered foundation, I employ expressive and creative approaches including Art, Sand, and Play Therapy in partnership with mindfulness and EMDR interventions to help clients access their inner resiliency and creativity, as well as facilitate therapeutic healing. Along with a keen interest in providing effective and ethical therapy to clients, I am also becoming very passionate about addressing the effects of vicarious trauma and compassion fatigue in therapists and other health care providers by using, of course, Art Therapy. Nicole Parekh graduated from VATI in early 2011 and completed a Masters of Expressive Arts Therapy and Psychology from the European Graduate School in 2017. One of Nicole’s practicum placements through VATI was the Dr. Peter AIDS Foundation. Upon graduation she was hired as an art therapist and has been working there ever since. Nicole has also worked on contract with various local organizations such as the Vancouver School Board, Adler University and the Stanley Park Ecology Society. As an artist she has volunteered her time to community arts events and organizations such as the Eco-Arts Salon with the Community Arts Council and the Moon Festival with the Still Moon Arts Society. She has also presented at CATA and BCATA conferences, and loves to research, write, and talk about the arts therapies. Nicole currently seeks inspiration while exploring the fields of eco-psychology, art activism, virtual reality, and therapeutic textile arts and discovering how they can relate to and broaden her perspective on art therapy. Nicole loves painting, singing, dancing and generally infusing her day to day life with imagination, play and the practice of creative expression, and is particularly fond of sharing her love of the arts with her family. 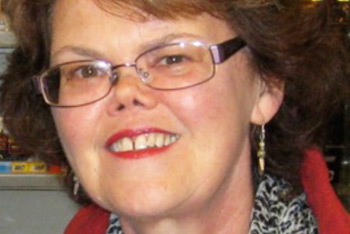 Irene Renzenbrink is an Australian social worker with 40 years of experience in the health care field, specializing in palliative care, grief counselling and death education. She holds an Advanced Graduate Diploma in Art Therapy from VATI (2012), and a PhD from the European Graduate School in Switzerland (2018). 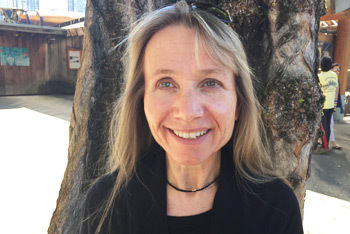 The focus of her doctoral dissertation at EGS is Transcending Difference and Fostering Connection in Experiences of Loss and Bereavement. Irene is a member of the International Work Group on Death, Dying and Bereavement and conducts workshops throughout the world. She supports Natalie Rogers’ view that ‘all people have an innate ability to be creative’ and that ‘the creative process has a healing power.’ Experiences of loss and bereavement can be shattering in many different ways and the expressive arts therapies have a vital role in the restoration of capacity and meaning construction. 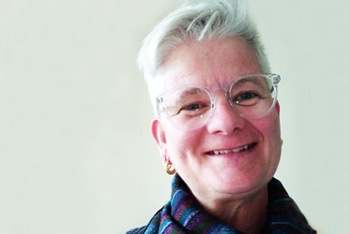 Susanna Ruebsaat, Jungian oriented art therapist, clinical counselor and supervisor, has developed a mythopoetic mentorship for clients and practitioners wanting to bring an archetypal lens to their practice. Exploring life narratives (personal myths) as a process of transformation, Susanna follows the journey of Individuation as it presents the possibility of stepping into an archetypal awareness of soma and symbol, shaping a mythopoetic inquiry that acts as a container for the metamorphosis of trauma: PsycheÂ’s ulterior motive towards wholeness. Encounters with the Authentic Self and false self (or selves) are an inherent part of this deep journey. The Authentic Self and the false self speak in different languages. They have different (and often differing) voices and speak of different things. What are they speaking about? What do they each tell us of ourselves? Therapy can be a place of inquiry into these voices and inner figures they are connected to in relation to the Self, Ego, Anima/Animus and the Shadow archetypes. Micheala has a B.A. in Psychology, a B.F.A. in Fine Arts and a Masters Degree in Creative Arts Therapies. She is a registered Counsellor and Clinical Supervisor with the Canada Counselling & Psychotherapy Association and also holds registration as Art Therapist with the American Art Therapy Credentials Board. 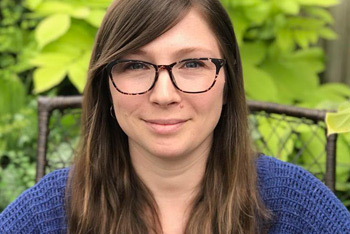 Micheala is currently working towards a Doctor of Education in Distance Education at Athabasca University with dissertation focus in the use of digital storytelling in video clinical supervision for counsellors working in rural and indigenous communities to mitigate risk of compassion fatigue. She works in private practise and offers in-person and distance counselling and clinical supervision services throughout the Northern and Interior regions of B.C. Her clinical specializations include wellness and healing across cultures, trauma therapy and the integration of Somatic Experiencing Trauma therapy with creative arts therapy modalities. She maintains studio practise as an abstract painter and shows work on a bi-annual basis. 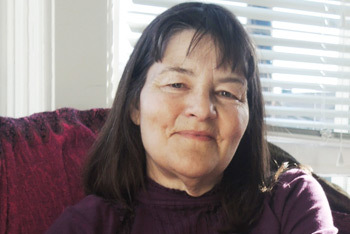 Lois completed her training at the Toronto Art Therapy Institute in 1973 with mentor, Dr. Martin A Fischer, the Toronto psychiatrist. 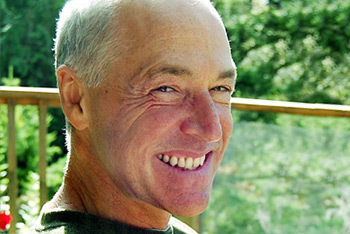 In 1982, encouraged by him she founded the Vancouver Art Therapy Institute. In Lois’ early days as an art therapist she was active in the art therapy associations in Ontario and British Columbia as well as the Canadian Art Therapy Association.